This post has been a looong time in coming, but we hope you enjoyed your May! 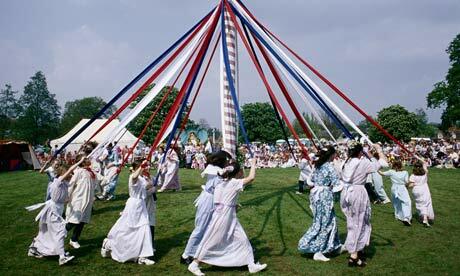 The first of the month was traditionally viewed as a time to herald in the start of the summer season. While your plans for the day probably don't include dancing around a maypole, you can still mark the occasion by donning a floral frock or going on a walk round your local park. Even if you're not Mexican, you can celebrate the 5th of May by indulging in all this vibrant country has to offer, whether that be noshing on tacos, sipping on a Corona, or listening to some mariachi. 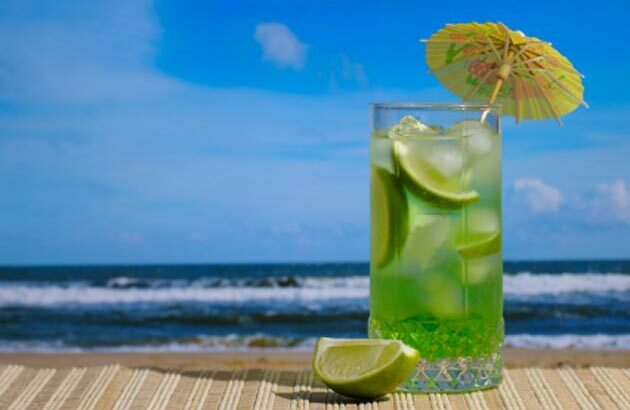 National Beverage Day is the 6th of May, and presents the perfect excuse to test out some summery libations, or even create your own and impress all your friends come barbecue season. If you've read our post on Ljubljana here, you'll know our views on McDonalds. (Basically, we pretty much love the place). But just in case you needed some coaxing to pay a visit to Mickey D's, the fact that the 8th of May is McHappy Day should persuade you, as proceeds from sales go to children's charities. After one last gluttonous hurrah (see #4), it's time to get yourself ready for bikini season (if you so desire, of course. No pressure). Check out some lighter meal options (May is National Salad Month, after all! ), and take advantage of the longer, warmer days to get in some more outdoor exercise. While Ireland and the UK celebrated their mothers two months ago, Sunday, May 12th is North America's Mother's Day: the perfect opportunity to spoil your mama (or mother figure) rotten! It's hideously tacky and grotesquely cheesy...but we love the Eurovision--it's a prime example of something so bad that it's good. For the uninitiated, Buzzfeed provides a very detailed guide here, and if you watched the finals on the 18th of May, we hope you enjoy this recap of The 11 Most Absurd Moments of Eurovision 2013 here (totally with her on Romania...they were our favourites this year, along with Greece.) And yes, we were inexplicably mortified and utterly despondent that Ireland came dead last. Ohhhh, the shame! The last Monday in May marks Victoria Day in Canada and Memorial Day in the U.S. (and it's also a bank holiday in the UK), so long weekends all around! Enjoy yours however you see fit, whether that includes camping, picnicking, or just catching up on sleep. A home filled with fresh flowers is a surefire way to brighten your day and get you in the mood for summer! Even a single, small bunch near your workspace is enough to make a tough day a bit cheerier. The third week in May is National Bike Week, so why not take the opportunity to explore your city by bicycle? (Heels optional). If you don't have your own, many cities offer rental services--perfect if you want to go for the occasional cycle without having to commit to buying your own bike. May often has an abundance of perfectly pleasant days, weather-wise: sunny and warm, without being oppressively hot. Take advantage of the late spring temperatures by planning a day in the park, complete with snacks, blankets, music, magazines, frisbees, footballs...whatever constitutes good entertainment for you, really.